Stay on top of municipal legal issues? Have greater access to potential municipal clients? Attend training sessions designed specifically for you? 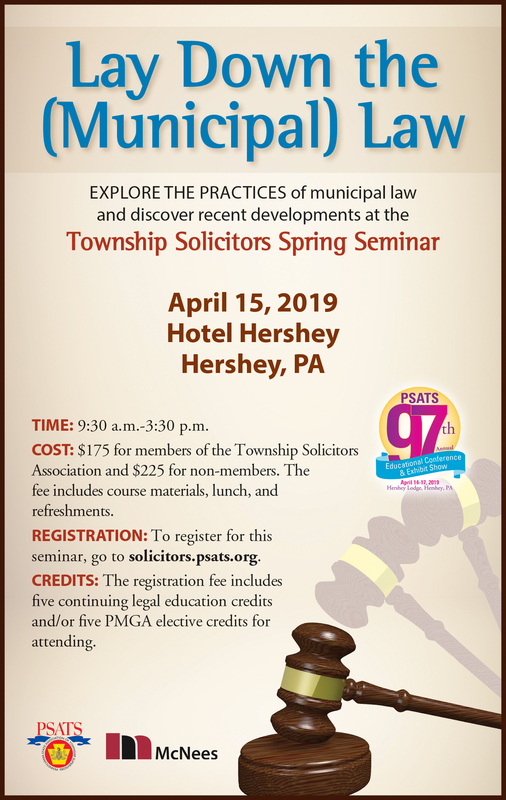 Annual dues for the Township Solicitors Association are $250 per person. and Serve Your Township Better! Click to start reaping the benefits today!